Are you looking for Ford F-150 info? From its long history to its trim level differences, everything there is to know about this light-duty pickup truck can be found in the following research. If you develop questions as you peruse, contact the team of product specialists at Westlie Ford in Washougal, WA by calling (360) 602-2490. First Generation F-Series lineup (1948-1952) The first generation of Ford F-Series pickup trucks were introduced to the public in 1948. After decades of redevelopment, the long lineage of F-Series pickups led to the eventual construction of the first F-150. Sixth Generation F-Series lineup (1973-1979) The first F-150 debuted in 1975. It came with considerable upgrades along with the rest of the lineup, such as larger cabins, a relocated gas tank, and improved air conditioning and heating. Seventh Generation F-Series lineup (1980-1986) The F-150 became the lightest pickup truck on the market once Ford stopped production of the F-100 in 1983. In 1986, the F-150 stopped offering the three-speed manual transmission. Eighth Generation F-Series lineup (1987-1991) In 1988, the Ford F-150 became the first pickup truck sold with a non-carbureted engine. During the following year, the F-Series was established as the nation’s best-selling vehicle. Tenth Generation F-Series lineup (1997-2003) Redesigned with improved aerodynamics for the 1997 model, the F-150 offered a better driving experience and increased fuel economy. This generation is also when the F-150 became a contemporary personal pickup truck and was named Motor Trend Magazine‘s “Truck of the Year” in 1997. Eleventh Generation F-Series lineup (2004-2008) The Ford F-150 received an all-new platform in 2004. This generation’s F-150 also received the “Best Pick” award from the IIHS, “Truck of the Year” award for 2004 from Motor Trend Magazine, and “Best Pickup Truck” for 2004 and 2005 from Car and Driver Magazine. Twelfth Generation F-Series lineup (2009-2014) Upgrades included a standard V8 engine, three-bar grille, roomier interior and a lighter chassis. In 2011, a 3.5L direct-injection twin-turbo EcoBoost® V6 engine was offered in the F-150. Thirteenth Generation F-Series lineup (2015-Present) The F-150 became the first pickup available with adaptive cruise control in 2015. It was also the first to be constructed of an all-aluminum body instead of a steel one, helping it lose 750 lbs. The more efficient 3.5L V6, 2.7L EcoBoost®, and 3.5L EcoBoost® engines were introduced as well. Innovations are the cornerstone of Ford’s success in the auto industry, and below is a list of their most recent industry-leading improvements. The 3.5L EcoBoost® engine paired with a 10-speed transmission provides improved acceleration, performance, towing, and hauling compared to the previous six-speed transmission and engines. Its aluminum alloy body is a class first and reduced overall weight by 750 lbs. while retaining durability against dents and rust. Offers a best-in-class 3,270 lbs. payload rating, beating top competitors by 1,000 lbs. The 2018 F-150 is at the top of its class, allowing drivers to tow up to 13,200 lbs. when properly equipped. Each engine in the 2018 Ford F-150 lineup is powerful, efficient, and offers incredible towing capability. Thanks to PFDI technology, all-new twin turbochargers, and auto start-stop technology, whether you need to haul your trailer to your favorite weekend getaway or increase productivity on the jobsite, F-150 engines will meet your needs without breaking a sweat. Continue reading to learn about each engine’s capabilities and features. The all-new 3.3L V6 engine uses twin independent variable cam timing (Ti-VCT) along with port and direct-injection technology to optimize power output. With independent variable cam timing, the valves open and close precisely, producing more than enough energy to power your Ford F-150. This engine is also flex-fuel capable. This V6 engine has advanced dual-port and direct-injection tech, which helps it squeeze power from every ounce of fuel. With an injector in the air intake port and another inside the cylinder, fuel is never wasted. As a result, you’ll get the most from your engine every time. If you’d like to learn more about how EcoBoost® technology provides unparalleled performance, click here. This muscular V8 engine can haul a best-in-class payload rating of 3,270 lbs. This engine is also available with a CNG/Propane Gaseous Engine Prep Package and snowplow prep package. If you want to learn more about prep packages, ask a Westlie Ford team member how to get your V8 engine equipped with one today. Class-leading towing and torque ratings will help you power through your demanding to-do list. In addition to dual-port and direct-injection technology optimizing the engine’s performance, twin turbochargers provide an extra boost in power. In order to tackle uneven terrain, you need ample torque, and the exclusive 3.5L EcoBoost® engine certainly delivers. Thanks to dual-port and direct-injection technology, twin-turbochargers, and an intercooled dual overhead camshaft with 24 valves, your F-150 Raptor will have no issue carrying you through uncharted adventures. Ample muscle coupled with a light, durable body result in the capability and durability your tough jobs demand. 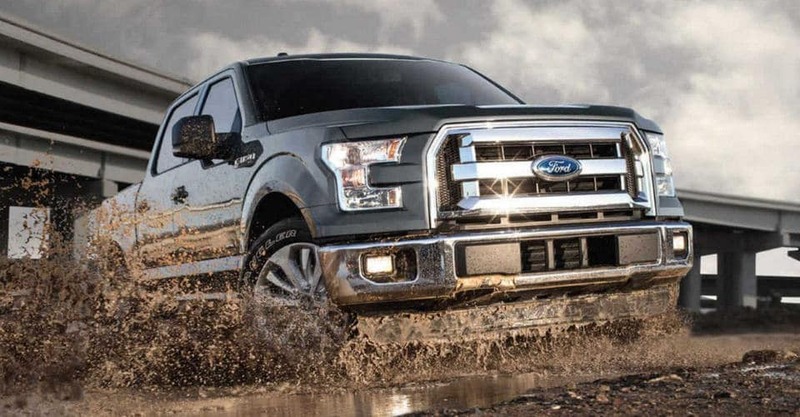 To learn more about the capability of the Ford F-150, check out the model review page here. Dynamic Hitch Assist uses the rearview camera with a projected path to help you accurately lineup your pickup truck to the trailer. Trailer Backup Assist controls the wheel autonomously to help you accurately backup. Trailer Sway Control helps keep the trailer and F-150 lined up when you’re driving. Trailer brake controller helps the F-150’s and trailer’s brakes work in sync. Blind Spot Information System not only covers the F-150, but the entire length of your trailer as well. 8-in. LCD productivity screen clearly displays information about your trailer such as fuel economy and towing data. Smart trailer tow connector brings connectivity, lighting, and battery issues to your attention. Remote tailgate release can be released, locked, and unlocked without even touching it using the key fob or door switch. Curious to see how the 2018 Ford F-150 pickup stacks up against the competition? 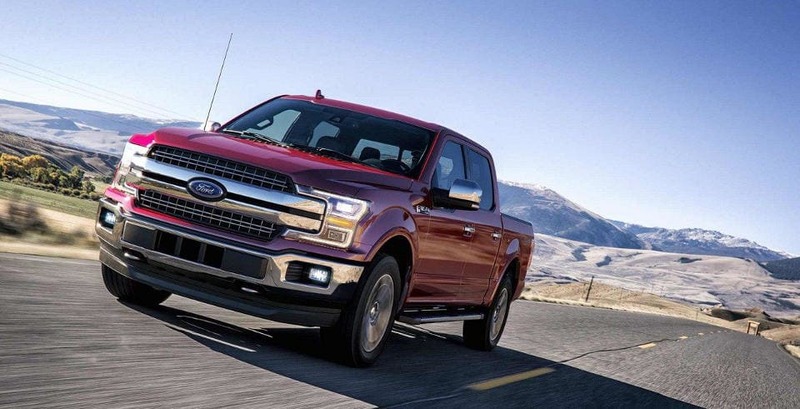 Check out our Ford truck comparison pages to see how the Ford F-150 outperforms Chevy, Ram, and GMC trucks when it comes to performance, capability, comfort, and much more! You’ll soon discover there’s no better companion for the jobsite than a Ford pickup. Explore our F-150 inventory, and reach out to the Westlie Ford team with any questions using our contact form or by calling (360) 602-2490. Whether you need to tow your family boat to the Columbia River or equipment between jobsites, the 2018 Ford F-150 is the versatile pickup truck that will make your daily routine and weekend adventures effortless. Get behind the wheel for yourself and schedule a test drive at our Ford dealership. Find your favorite F-150 model in our new inventory and it will be waiting upon your arrival. If you have questions about our new inventory, the 2018 Ford F-150, or want to speak with a team member at Westlie Ford in Washougal, WA directly, give us a call at (360) 602-2490.